Milena Alessandrini and the Tigresses hope to rise from a four-win season. UNIVERSITY of Sto. Tomas graduates Ging Balse-Pabayo, Rhea Dimaculangan and Maru Banaticla are convinced the Season 81 Tigresses have what it takes to win the UAAP women’s volleyball title. 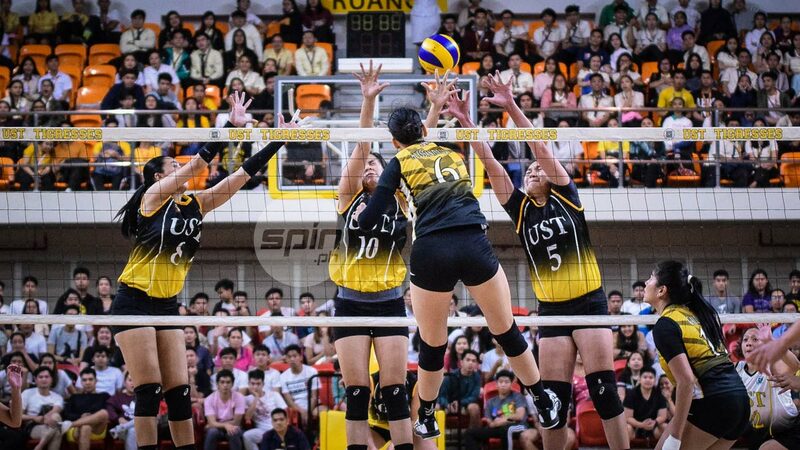 The Tigresses scored a 20-25, 22-25, 17-25 victory over a team of former UST players led by Balse-Pabayo, Dimaculangan and Banaticla on Wednesday at the UST Quadricentennial Pavilion. “First time 'yung ganitong nagkita-kita kaming dating players. Sana, malaking impact 'to sa mga maglalaro sa UAAP na magkaroon ng positive na impact sa kanila,” Pabayo said. “Sabi ko sa kanila, kailangan buo lang 'yung tiwala nila sa isa't isa at buo din 'yung tiwala namin sa kanila na mananalo sila,” she added. Dimaculangan and Banaticla, who were part of UST’s last championship in Season 72, agreed that the Tigresses led by Sisi Rondina and Eya Laure have a very strong chance to win it all this season. Banaticla said La Salle and Ateneo are two of the teams to beat, but noted that Rondina needs scoring support. “Parang some of the players have to step up not only Sisi, kasi siyempre Sisi given na yun eh kaya niyang dalhin ang team but she needs help,” she added. “I expect more from Dimdim (Pacres) and Eya. Feeling ko kaya naman nilang makuha ang crown this season. The event also featured Aiza Maizo-Pontillas, Season 69 MVP Venus Bernal, Angge Tabaquero, Denise Tan, Maika Ortiz, Rubie De Leon, Pam Lastimosa, Mozzy Ravena, Vilet Ponce-De Leon, Jessey De Leon, Mela Tunay, Shannen Palec, Mia Hirotsuji, Dancel Dusaran and Kat Carangan. They also reunited with former coach August Sta. Maria.